July 2012, Seoul. A mother and father are dancing and singing to an old Korean ballad at a noraebang (Korean karaoke) while their daughter is crouched by the machine, frantically looking for a song to sing before time runs out on their reservation. The father instructs the daughter to pick a “good” song with a palatable melody; none of that English-infused gibberish. He laments- “Old songs were so good.” Unfortunately, “old” doesn’t mean the same thing for his daughter. She picks a song from her youth, “Candy” by the 1990s K-Pop idol group, H.O.T. Fangirl Lesson 1: Always sing your favorite group’s song at noraebang. The girl is our heroine, Sung Shi-Won (Jung Eun-Ji), 33 years-old and a television writer, going on ten years. She narrates that despite the ten years, she’s actually done very little writing; most of the time she is busy sucking up to her superiors and gathering various props for variety shows. However, she is not unhappy with this kind of life. There are small moments of happiness, such as when she hears a song from her youth. Sung Shi-Won enters a restaurant, narrating that while she can’t physically go back into the 1990s, she can do it spiritually. Inside, Shi-Won is greeted by her high school friends- this is a reunion in Seoul for Busan Kwang-Ahn High School graduates. Shi-Won noticeably still speaks with a Busan-dialect accent while her friends seems to have adopted the Seoul-speak fully. 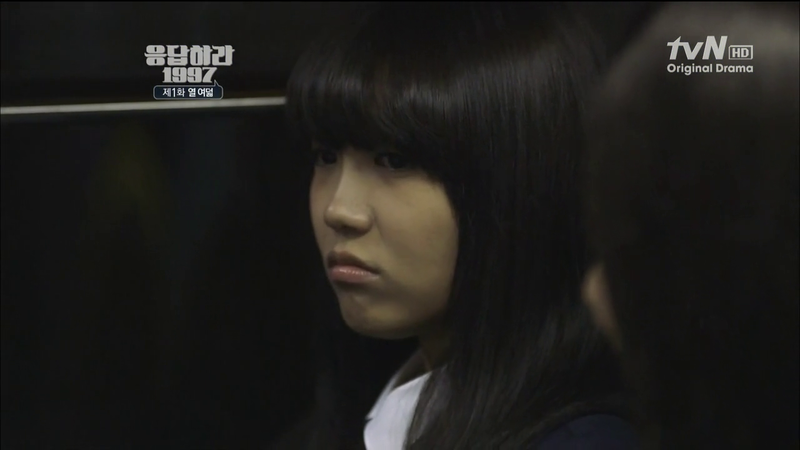 Another girl comes in and sits next to Shi-Won. It is Mo Yoo-Jung (Shin So-Yool), Shi-Won’s best friend from high school. Yoo-Jung comments, like Jang Dan-Ji, that it looks like Shi-Won gained some weight. Oh Koreans and their culturally different standard of socially acceptable commentary. Shi-Won tells us in a voice over that Yoo-Jung is a “Ship-Sa-Bba” (an acronym for the phrase that means her fangirl biases changes easily and quickly.) Three months ago, Yoo-Jung was in love with Kim Soo Hyun; one month ago with Park Yoochun; and now with Infinite. Ha! This girl sounds like a popularity gauge. The person she is in love with is the celebrity most hot at that moment. Fangirl Lesson 2: Don’t worry about your biases changing. Just know that if you’re gonna fangirl, fangirl hard. 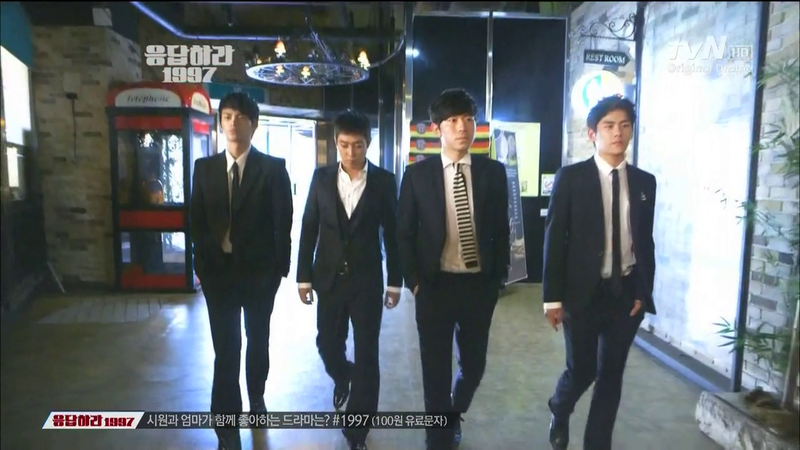 In comes four boys, all dressed in black and walking like they are F4, sans the glittery backlight- The subtle/delicate Kang Joon-Hee (Hoya), the talking Bang Sung-Jae (Lee Shi-Un), the charismatic Do Hak-Chan (Eun Ji-Won) and the prickly Yoon Yoon-Jae (Seo In-Gook). Fangirl Lesson 3: Make sure you pay attention to your real surroundings. There could be a hottie secretly in love with you. Turns out the boys are color coordinated because they all went to a funeral for one of their teachers. 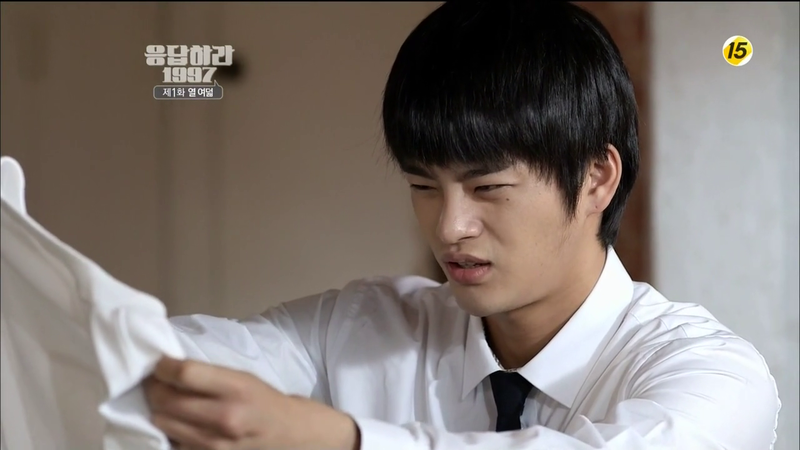 Yoon-Jae looks over to Shi-Won and asks, “Did you gain weight?” Shi-Won gives him the stink eye. Sung-Jae wants a group picture so they all pose. Shi-Won lets us know in a voice-over that one couple at this reunion will announce their engagement that night. We see an old desktop with the ancient blue command screen. The words “Answer Me 1997” are typed in as a command. It’s April 1997 in Busan. Our core group of friends, minus Hak-Chan, are at Shi-Won’s house, playing Dance Dance Revolution. Shi-Won abruptly shuts off the game to record the an episode of “Star Docu(mentary)” which is showing a tour of Tony Ahn’s room. Shi-Won is ecstatic to see that Tony has received her teddy-bear gift. She definitely knows it’s hers because she had stitched the initials “TN ❤ SW.” While Yoo-Jung squeals with her, the three boys watch in grumpy silence. Fangirl Lesson 4: Watch everything your favorite celebrity is on. Who knows, they might actually sleep with the gift you sent them. Shi-Won’s dad enters the house and starts berating her daughter for wasting her time fangirling someone who looks like a monkey. Shi-Won angrily denies that her oppa looks like a monkey. Fangirl Lesson 5: Defend your oppa’s integrity. No one shall make fun of your oppa. Not even the people who feed, clothe, and house you. It’s the morning of April 29 and Yoon-Jae finds a gift box on the coffee table in the living room. The message on the card simply reads, “Happy Birthday, Yoon Yoon-Jae” without any indication of who the gift is from. The gift itself is a Guess shirt. Yoon-Jae is happy at first, but then he remembers all the other birthdays in which he received “name brand” clothing and back bags that always fell short of, you know, actually being name brand. Yoon-Jae wears the shirt cautiously under his uniform but his doubt is abated when Shi-Won confirms that it is the real thing. It seems like Shi-Won’s house is like Yoon-Jae’s second home as he comfortably enters and sits at the Sung household’s breakfast table. Shi-Won’s mother has made seaweed soup for breakfast, as it is tradition to eat the soup on your birthday in Korea. Shi-Won’s dad complains about the soup stock being made of fish; in fact, a fish head is floating in his soup. Shi-Won’s mom explains that this is how you make it in Busan; he should be grateful that he and Yoon-Jae share the same birthday, otherwise there would have been nothing. 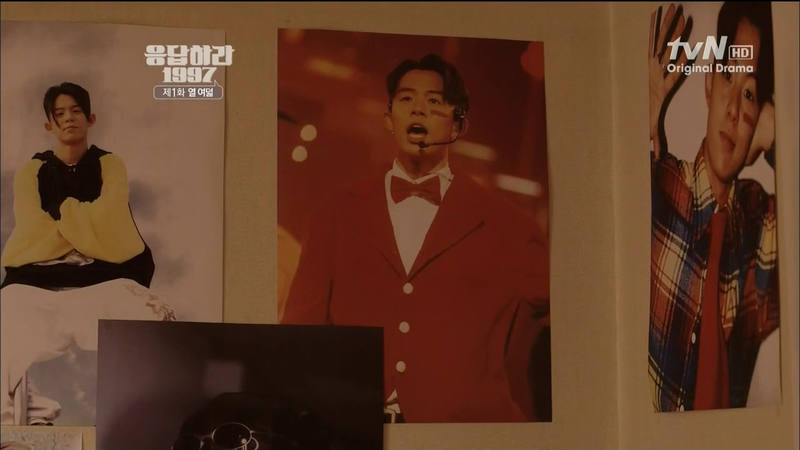 Mom calls for Shi-Won to come eat breakfast but Shi-Won refuses to come out of her Tony Ahn poster plastered bedroom to eat with someone she doesn’t know. It looks like Shi-Won still hasn’t gotten over the fact that her dad called her oppa a monkey. Shi-Won addresses her dad as “ajusshi”- a stranger undeserving of filial recognition. Fangirl Lesson 6: Deny thy father; Deny thy mother; Deny all those that dare to make fun of your oppa. Not be angry at him. Damn, those are some awesome “coupons.” Wish I had those. This is the era of cassette tapes and Shi-Won’s classmates are listening to their Walkmans, while doing their homework, and chatting. Shi-Won and her friends are sitting around and talking yesterdays “Star Docu.” Outside the classroom window behind Shi-Won are Yoon-Jae and Yoo-Jung sitting a bench. 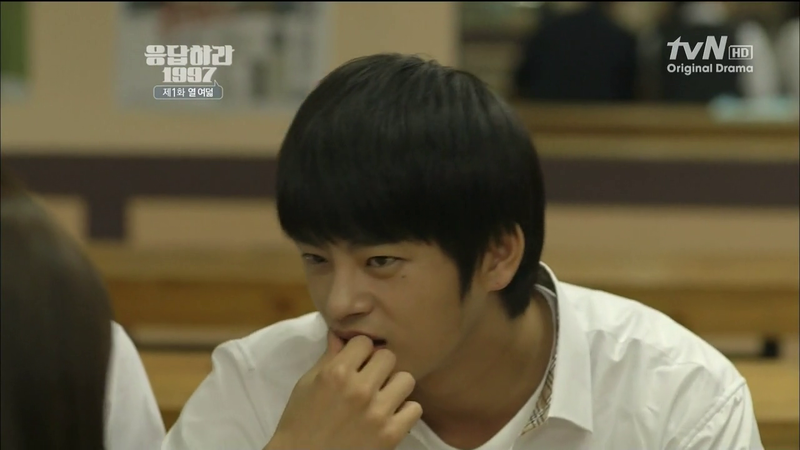 Yoo-Jung looks embarrassed while Yoon-Jae sits quietly. It’s lunchtime and the five friends are all sitting together eating instant ramyun, except everyone has their own style. Shi-Won is adding chips into her ramyun, Yoo-Jung is adding milk, Sung-Jae is cracking an egg, and Jun-Hee puts tuna in his ramyun. They each offer Yoon-Jae their additional ingredient but Yoon-Jae begs, “Can we please just eat this normally?” Shi-Won asks if Yoon-Jae is “PMS-ing” but he, in a display of how close they are, just uses his saliva to wipe off a stain on her cheek. Shi-Won asks Yoon-Jae to record the last episode of “Star In My Heart” for her. She has to go the city of Daegu tonight to attend the recording of the radio show “Byul Bam” in which H.O.T. is making a guest appearance. Yoon-Jung doesn’t know whom to choose; it’s between seeing Kangta, the lead singer of H.O.T., or Ahn Jae Wook, the hero of “Star in My Heart.” I know how you feel girl. For me it was choosing between a magazine with Ahn Jae Wook or H.O.T. on the cover. Can you guess who won? While Sung-Jae makes fun of Yoo-Jung, our delicate Joon-Hee comments that he finds Choi Jin-Shil very cute in “Star in My Heart.” Aw, he watches dramas too! Joon-Hee wants to know what Shi-Won is going to do about the mandatory late-night study period. She assures him that she has it all figured out. Cut to Shi-Won asking her the male teacher in charge of monitoring the late night study period, Yoon Tae-Woong (Song Jong Ho), if he knows what it feels like to have a period. It’s like something is scratching her uterus. Tae-Woong, looking very uncomfortable, just tells her to go home. It’s late night study period and the boys are anything but studying quietly. Tae-Woong comes in and yells at them to be quiet. When he leaves, Yoon-Jae’s friends start to talk about Tae-Woong. Apparently, he’s only nice to girl class and he himself thinks he is good looking. Yoon-Jae think Tae-Woong looks like a girl. Sung-Jae says that rumor has it that the Tae-Woong was Busan’s top-student back in the day. But look at him now, he’s only a high school teacher instead of a lawyer or judge. The other guy adds that his mom told him it was because Tae-Woong’s family couldn’t afford to send him to Seoul. 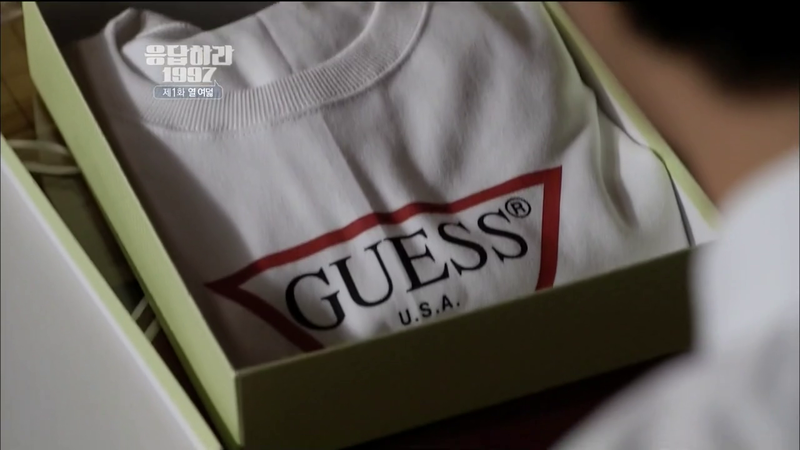 Sung-Jae is annoying Yoon-Jae when Joon-Hee notices the Guess T-shirt that Yoon-Jae is wearing. Sung-Jae asks if the shirt real and Yoon-Jae proudly shows off his shirt. Unfortunately, Shi-Won was wrong. 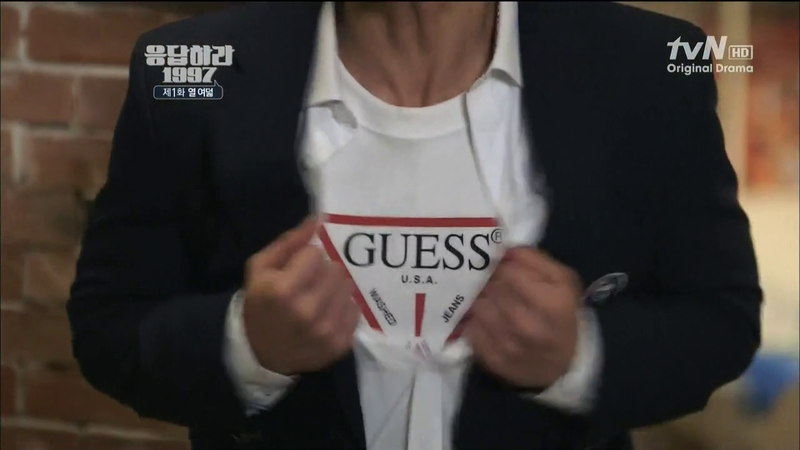 The Guess logo has a question mark on it, not an exclamation mark. 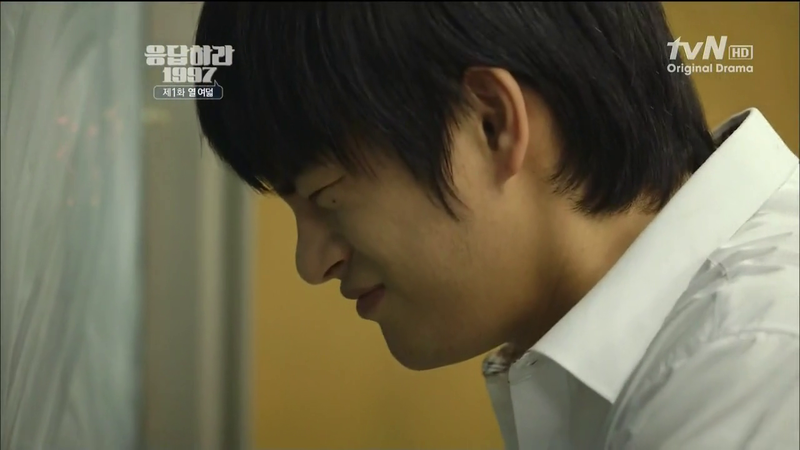 Yoon-Jae is completely embarrassed. The boys are kicking up a fuss when Tae-Woong enters the room, angry at the continued ruckus. He calls out for the class president, which is revealed to be Yoon-Jae, and informs him that as a leader, Yoon-Jae should have been keeping his fellow classmates quiet. 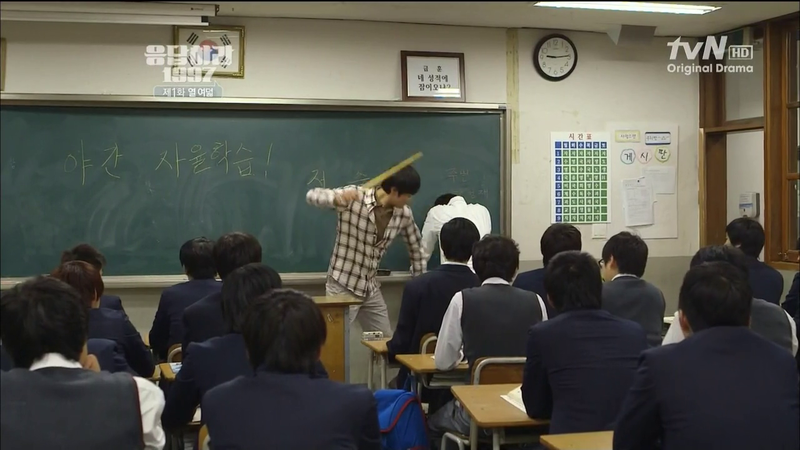 The teacher asks how many hits Yoon-Jae wants and proceeds to beat him ten times like Yoon-Jae said. Unfortunately, this was quiet common in Korean schools back then, so famously H.O.T. released a song that criticized corporal punishment in schools, called “We Are the Future.” A lot of idol groups back then released similar types of songs as they were trying to establish themselves as the voices of youth. 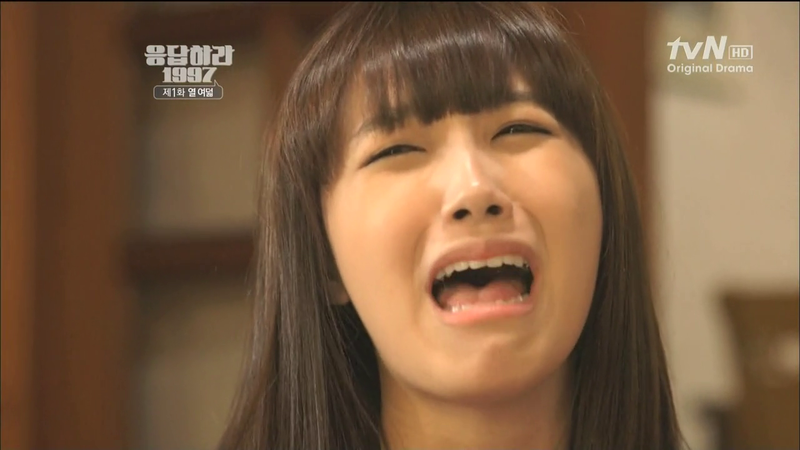 Shi-Won and fangirls are screaming their heads off at the radio show while H.O.T. is dancing off-screen to their debut song, “Warrior’s Descendant” (which was about bullying in school). Shi-Won has the whole choreography down, alternating between crying, screaming, dancing, and singing along. Fangirl Lesson 7: Master the art of multi-tasking as you will be required to scream, babble, type, sing, cry, dance, and take pictures all at the same time when you fangirl. Yoon-Jae is at Shi-Won’s house, ready to record “Star in My Heart.” (Seriously, I scream as I hear the opening song to that drama. Oh my god, the nostalgia.) Shi-Won’s mom brings out a tub of kimchi-jeon (Korean kimchi pizza) batter that looks like it will feed a few dozen families, except it’s meant just for the Sung household. 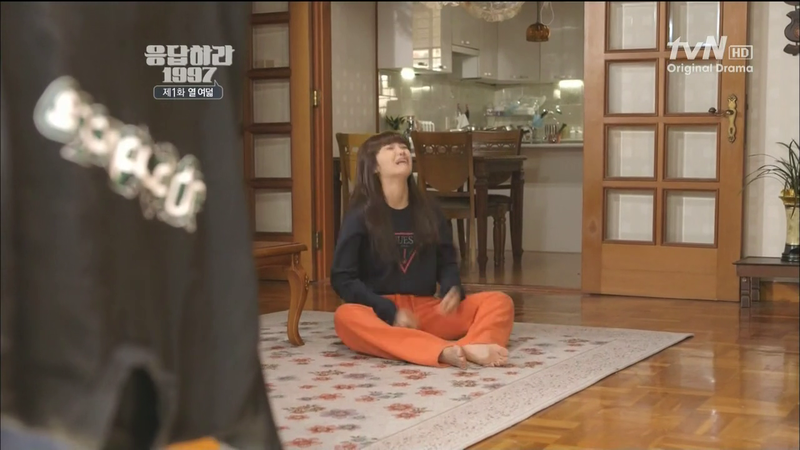 Poor Yoon-Jae is stuck watching Shi-Won’s mom fangirl over Ahn Jae Wook singing “Forever.” (Hee. I always sing this song at noraebang.) Shi-Won, on the other hand, is having the time of her life answering every trivia question about Tony Ahn at the radio show and winning gift certificates. Unfortunately, she gets the last question wrong because she didn’t finish listening to the question and loses out on getting Tony Ahn’s T-shirt perfumed with his sweat.. Instead, Yoo-Jung wins the prize. On the way home, Yoo-Jung offers Shi-Won the T-shirt; after-all she is Moon Hee Jun’s fangirl, not Tony’s. Shi-Won is happily sniffing the T-shirt when Yoo-Jung informs her that she confessed to Yoon-Jae that morning. Although Yoon-Jae didn’t give her an answer yet, Yoo-Jung wants to know if it’s okay with Shi-Won if they date. Shi-Won doesn’t know why Yoo-Jung would think she would be bothered; and wasn’t Yoo-Jung in love with their teacher the day before yesterday? Yoo-Jung explains that the teacher is too old but Yoon-Jae is perfect; he’s smart, mature, and athletic. “Really?” Shi-Won asks. She doesn’t see that. Yoon-Jae comes home and grumpily runs into Tae-Woong, who turns out to be Yoon-Jae’s older brother, coming out of the shower. In stark contrast to the authoritative teacher figure in school, at home Tae-Woong is gentle lamb who is scared of his own younger brother. He tries to apologize for the beating at school but Yoon-Jae doesn’t want to hear any of it. He angrily stomps into his room but quickly comes out again to yell at Tae-Woong for not even knowing the difference between a question mark and an exclamation point. Shi-Won and Mom are finishing up the final episode of “Star In My Heart” and Mom comments that Ahn Jae Wook’s career is going to rocket off with this drama while Cha In-Pyo fades. Which was exactly what happened. Shi-Won is about to shut off the VCR when the screen fuzzes in and out to reveal that Yoon-Jae had copied over the recording of “Star Docu” that showed Tony Ahn with Shi-Won’s gift. Shi-Won lets out a feral scream. Yoon-Jae is going to die, isn’t he? Fangirl Lesson 8: Hell hath no fury like a fangirl deprived of her oppa. Yoon-Jae is crying underneath the pillows while his brother is outside his bedroom door, trying to apologize for hitting him. He didn’t know Yoon-Jae was the president of that class. 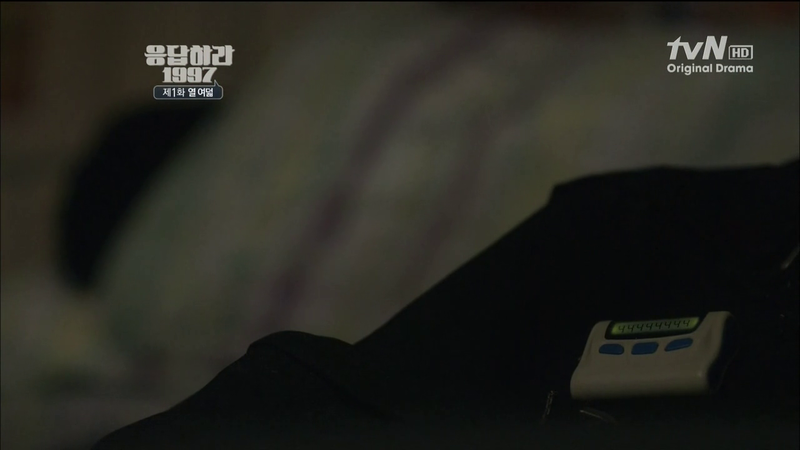 Yoo-Jung, lovelorn at her end, is listening continuously to Yoon-Jae voice through the prompt on his beeper. Shi-Won wakes up, happy-face, a night’s rest washing away the troubles of yesterday until she see that her mom has washed Tony Ahn’s shirt. “Oppa’s smell of sweat!” Her face is a hideous mess again as the teenager throws a temper, also wearing a fake Guess shirt. Oh the trials and tribulations of fangirling. A solid first episode. While there is nothing about this drama that is new or narratively exciting, the pace is good and the writing and acting so far is competent. I was looking forward to this drama as soon as I heard that it was going to be about a H.O.T. fangirl as I was one too. 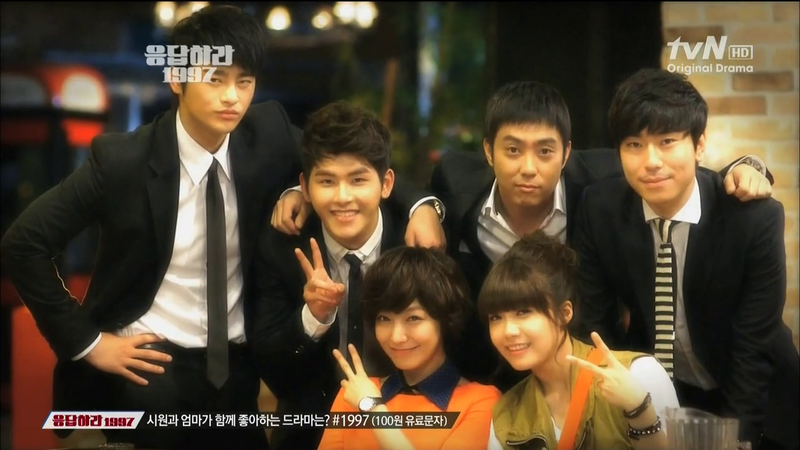 While it was touted as a drama about 1990s fan culture, the production staff emphasized in interviews that the drama was also about youth and romance. I think the fan culture will mostly be revealed in the details but won’t have too much narrative relevance to the overall story. I can see this being set up more as a youth drama with all the excitement and heartbreak that only teenagers can experience as some friendship blossoms into love and some are tested by love. And that makes me a happy camper. It’s almost like reading those famous Korean internet novels that were written by young girls, which melo-dramatized high school romance and made me wish that my school was full of hot boys. Except this drama doesn’t have that melo-dramatic tone. It’s actually very light without being superficial, like a slice-of-life drama. I’m glad that this drama is set in Busan instead of Seoul, like every other drama, and the characters are using Busan dialect. Except it means that some words are lost on me, as Korean dialects differ enough in vocabulary to sometimes make no sense to the unfamiliar. So far though, except the dialect, nothing about this drama marks it as a drama set in Busan. I wonder if the writer just set this is Busan because she is from Busan herself or because if you place your characters in Busan, they have more time for their personal lives because they can’t constantly stalk their oppas or unnies in Seoul. FYI, the writer for this drama was born in 1984, which means she is really writing about the time of her youth. I feel such camaraderie with her even though I wasn’t in Korea during the 1990s. 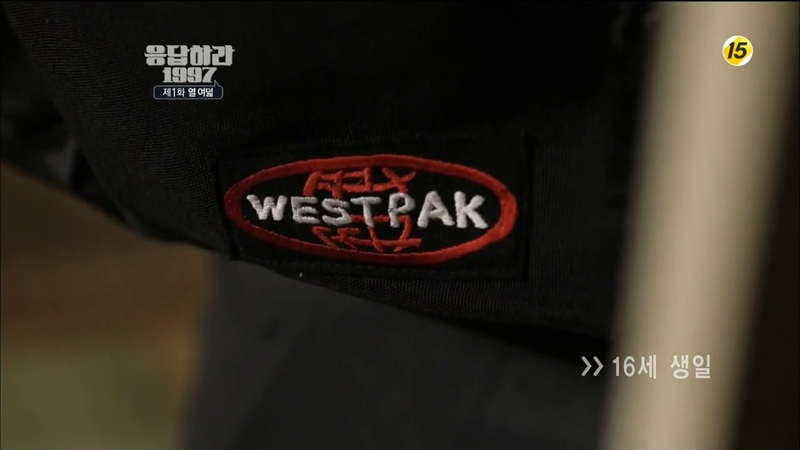 The most exciting part about this first episode was seeing and hearing all the 1990s references like music in the background, the props, hairstyles, and clothing. I’m excited to see how much about Korean culture during that time we can learn about. I really want to thank my parents for keeping me in touch with Korean culture even though I lived in the U.S., so that I can be nostalgic about both H.O.T. and the Backstreet Boys. 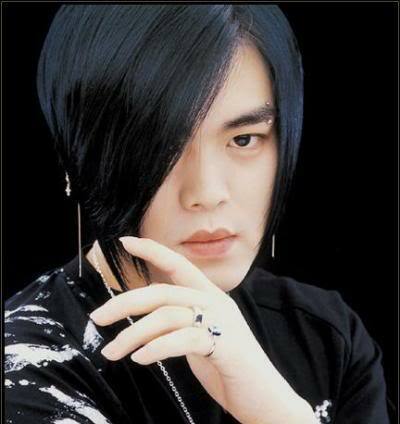 Although, my heart was always in Korea…my AOL screename had Tony Ahn’s name in it. Everyone always wondered why a girl had a boy’s name for her web ID. The funny thing is that I wasn’t a Tony Ahn fangirl to begin with. Kangta was my favorite as a I had a soft spot for lead singers back in the day but when I became friends with a Korean girl who just immigrated from Korea and was a ardent fangirl of Kangta, she informed me that two friends couldn’t like the same guy in the group. As I wasn’t as passionate about the whole thing as she was, with her piles of magazine and video tapes full of H.O.T. 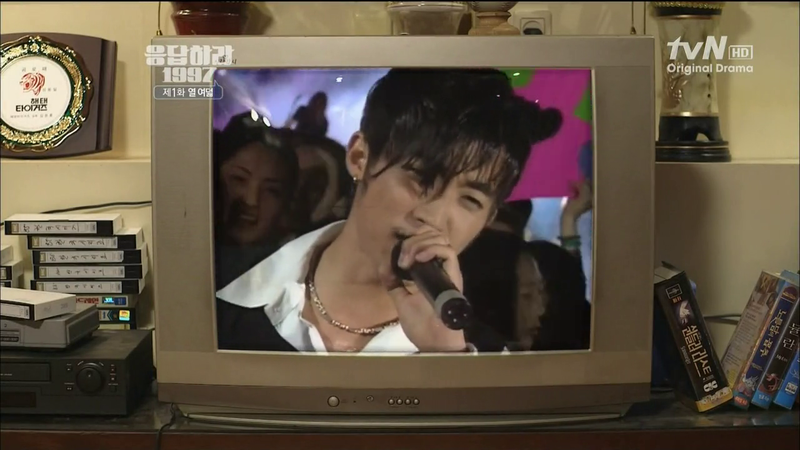 singing and dancing on television, I switched to the guy I liked second best, Tony Ahn. Oh, the delicate nature fangirl politics. This series also had an episode zero but it was a character introduction and behind-the-scenes episode that was not part of the overall story so I decided not to recap that episode. This series will air for eight weeks, once a week on Tuesday, with two episodes playing back to back. As my eyes are about to pop out of their sockets, I only recapped the first episode tonight. This drama has been circulating the web with various titles such as “Reply 1997” and “Answer to 1997.” I think the Korean title more closely translates to to “Answer me 1997” so I will be using that title instead. The recap style is slightly different from my recaps for Queen In-Hyun’s Man. Those recaps were closer to transcriptions, like the ones Softy does over at Cadence, and they are just too time-consuming to be continued. Club H.O.T. arguably started the K-Pop organized fandom culture in which there were official memberships, hierarchy, and organized support. While there were always fandoms, the founding of Club H.O.T. marked a new relationship between fans and the company that produced the idols. Fans became an integral part of the marketing and the public relations of K-Pop groups, and the precarious power-play over the idols’ careers between the production company and the fans really came to the forefront with Club H.O.T. If in the 1970s youth in Korea ran around protesting the military dictatorship, in the 1990s, the youth ran around protesting the denial of their favorite group in a music show appearance. Fandom was the mark of youth identity, the space in which young Korean people could devote their energy to outside of the grueling education system. 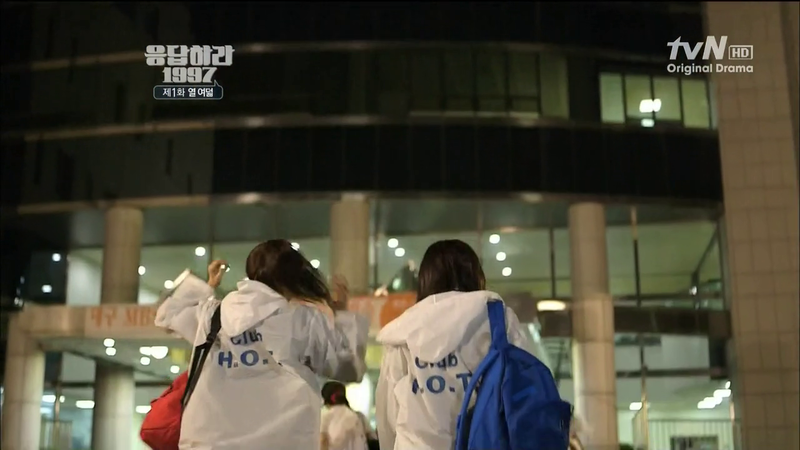 It was a form of expression, to be wearing white raincoats and screaming along to a K-Pop song. Fangirling… we all did that in the past. I remember in 1997-98 i was in high school and my current obsession was pop band Hanson. I did everything Shi Won did and more: spend more than 500$ calling the ‘Hanson’ hot line from Panama (just to hear their voices), bought all the CD’s, VHS, posters… and it was hard because i lived in a Latinamerican country. 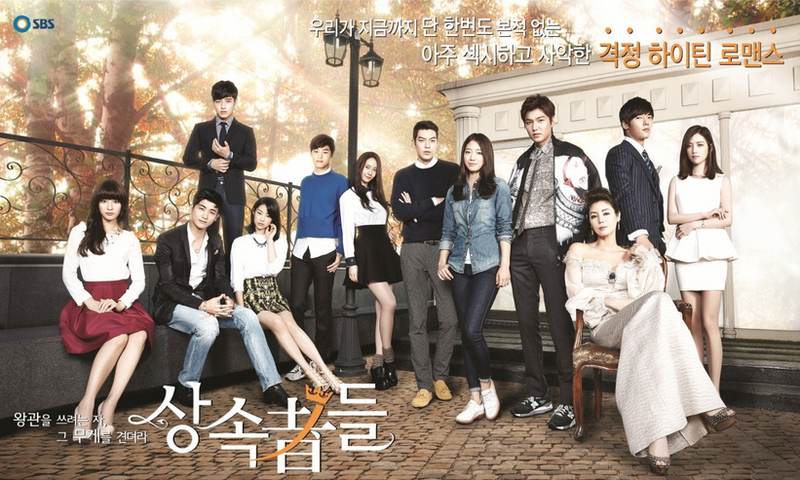 I eventually grew out of it but everytime I hear MMBop im soo transported to that time… Im SO WATCHING THIS DRAMA! Isn’t if fun going down memory lane? It’s amazing how those lyrics we learned so long ago still come back as soon we hear the song. You are awesome!! This sounds like its going to be a feel good drama. Hope I can find it with subs somewhere. During that time, I was still in my last year of elementary going high school and I wasn’t a fan of K-pop yet. I was more accustomed to western boy bands back then like Backstreet Boys, N’sync, Westlife, A1, Hanson and many others. But I admit, whenever I hear songs from the past, it really transports me back to memory lane. This drama will definitely spark interest in every teenager of the 1990’s. 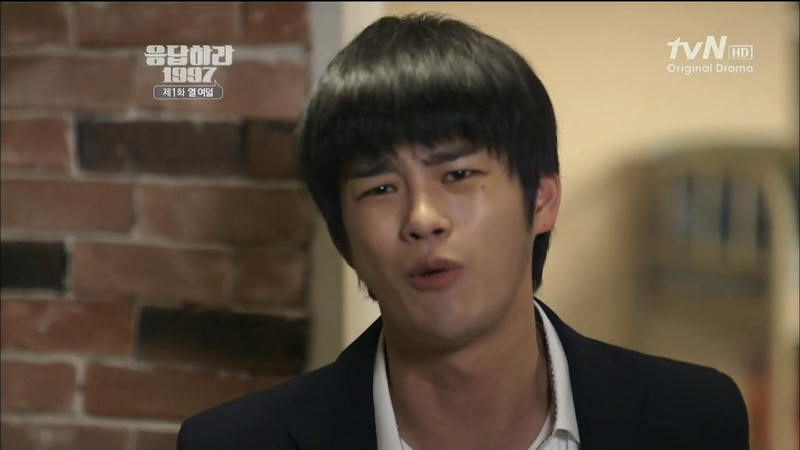 Btw, the guy playing the part of Yoon Jae, isn’t he one of the cast of Love Rain? One of Jang Geun Suk’s best pals…the nerdy musician? I don’t know if he was the nerdy musician since I didn’t watch Love Rain but yes, he did appear in that drama. Funny how both you and dramabeans are picking this drama up! Looks like it isn’t available on viki or dramafever so I can’t check it out. 😦 I’m afraid to go on other sites b/c they have crazy pop-ups and viruses. Where are you watching from Ms. Joonni? You want to watch it raw ? Because Youtube has it. Thanks Cindy for the info. I’ll have to check it out even if I understand only about 70%. I’ve been downloading it from muabuonkst1.blogspot.com so I can grab the screenshots. I think dramabeans and I belong to the same generation so this drama strikes a particular chord with both of us. I guess I’m a little older than you! I never went crazy over boy bands, but I do remember my HS friends’ craze over New Kids! I was too young to fangirl New Kids but I do remember them. You guys can watch this at Dramastyle.com. No sub available so I’m very glad you and GF recap this gem. Although I have no clue about the 90’s Kpop reference the feeling is universal. I love coming-of-age story. Thank you for getting into the details explaining stuffs such as the corporal punishment and how it inspired a band to voice the frustration of the young people and about the Fandom and your own experience. Your “shorter” version of recap is just as awesome. Great recap Joonni. Thank you for recapping this! I truly love reading your point of view =). I was definitely not into korean culture or entertainment in my teenage years circa 1996-2000 but I can definitely relate to the theme at hand. I was a die hard NSync fan lol reading about this has truly brought the nostalgia in waves… Thanks so much, cant wait for the next post. This may be old news, but Dramafever has it, too. Hi, I just stumbled upon your blog recently and I love it. Love the show and love your recap and thanks for filling in some of the info non Koreans like me would not get. That’s a perfect description meiyih. Exactly how I feel too! hey! have you been watching the rest of it? it is REALLY good!!!!!!! so much nostalgia… was around the same age at that time. no K-pop but was totally fan-girling Boyzone! such angst! I’ve been slowly trying to catch up. There are not enough hours in a day to fully immerse myself in this drama the way it deserves! This show is definitely worth a little weekend marathon. Once you press play – you will not stop =). Had my weekend marathon. Exhausted by happy. 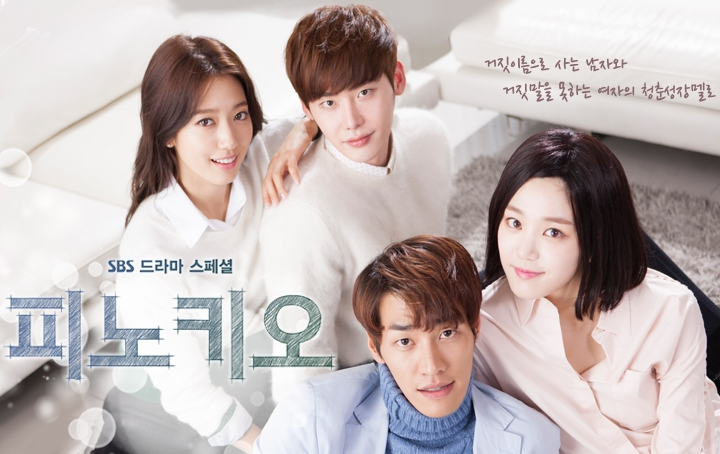 This drama is love. I just got my sister into it this weekend with a super marathon… shes been stuck on Gaksital & this helped her anxiety with all the cute. I could seriously start all over again while waiting for 13-16. Which, by the way TVN decided to pull a big boo-boo on us and push back the grand finale by 6 days! Grrrrrr….. I wish I knew Korean and thus can watch it without subs. I wish I can understand what they are saying. WHY didn’t I learn Korean in college?! tvN is churning out some awesome dramas and I think jTBC is also doing so, although they are less high profile. The major stations need to step up their game and produce consistently high quality dramas. Every time someone mentions QIHM these days, I get teary. I miss that show so much! I wish I can find somewhere will the full episodes and eng or chinese subs for AM1997, can’t access Dramafever? (not in US).. and most of it has something missing, like parts of Ep 9…. Too bad the subbed version takes so much longer to come out. Actually I couldn’t find the raw either. 600+ days till JHW comes out from the army!!!! I miss BongDoo! can anyone please tell me the name of the song that they dance on in Dance Dance Revolution ?